Super nice hoste! Very clean and have everything you need . 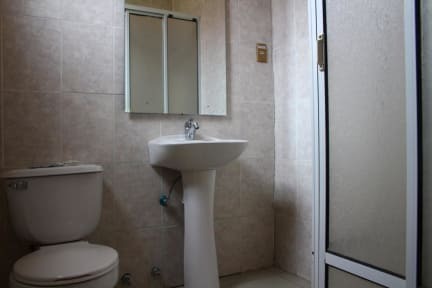 Big kitchen and private bathrooms inside the room, located 1 minute from the bus station , supermarket and the center. Small quiet hostel with warm kitchen to meet other travellers. Well equipped kitchen. Rooms were cold but plenty of bedding meant that wasn't a problem at night. Super fast WiFi. Staff were friendly and helpful. 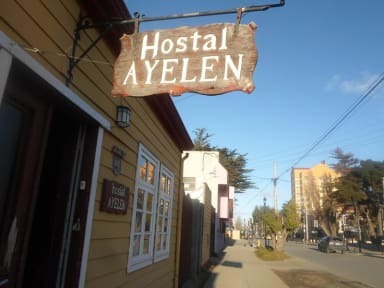 I stayed there only one night before going to Puerto Natales. There is really no atmosphere (as I think almost everybody is only staying for one night). Another minus was that while sleeping in the top bed, you could hear every step on the floor like REALLY clearly. Overall good enough for a quick overstay. Nice hostel, best thing about it is that it's really close to the bus station. David the hostel owner was there to greet us upon our arrival to Hostel Ayelen. He was there for the duration of our stay. He was very accommodating and so friendly. You can genuinely tell that they value your satisfaction and happiness. Rooms were clean and comfortable. The free breakfast in the mornings was very nice. They have two kitchens and washer that you can use free of charge for laundry. The place was one of the better hostels that I have stayed at. I would definitely stay again! The owner of the hostel was really friendly and explained everything that was available in the town. It's all pretty basic but perfect for one or two nights stopover and a nice social vibe as everyone who is staying in dorms congregates in the kitchen and patio area. Very functional Hostal and fine for a short stay but quite shabby. Security wasn’t great, we had no key to our room, no lockers and the gate and door to the property seemed to be left open often. Kitchen was big with tables to sit and eat at which was nice. Our room was quite cold but thick duvets kept us warm enough overnight. Staff generally not very friendly.